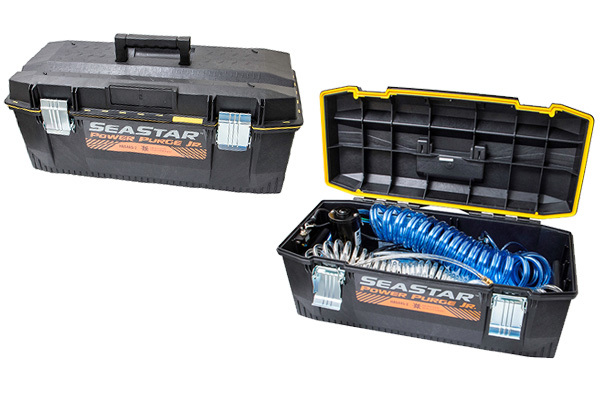 The EASY way to 100% purge air out of BayStar and SeaStar hydraulic steering systems. • Steering feel is solid every time. • Powered by 12v battery. • Fast and efficient set up. How To Purge a System With Power Purge Jr.